WELEDA Organic Oat Regenerating Shampoo smoothes, nourrishes and repairs dry hair, prone to breakage or damaged hair, to regain their natural softness. Rich in stimulant oat extract and moisturizing jojoba oil, it regenerates and strengthens your hair. You will love Weleda Natural Oat Shampoo's warm fragrance that wraps you in a sweet comforting bubble ! 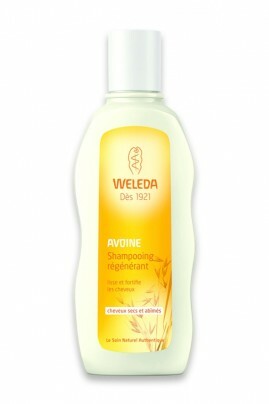 Apply Weleda Organic Oat Shampoo on wet hair, massage then rinse. Follow with Conditioner or Hair Mask of the same line. Dermatologist tested.